To coincide with the release of the new single, Tremonti is heading out on tour again. The band are special guests on the upcoming Sevendust headline tour. The US tour kicks off February 1st in Houston, TX and wraps up in San Antonio, TX on March 3rd. The tour will make stops in New Orleans, LA; Boston, MA; Flint, MI; and Chicago, IL to name a few. Fans can go to www.marktremonti.com for more information on the tour, VIP packages and ticket purchase links to all shows. A Dying Machine is the first concept album of Mark Tremonti’s career. The album was released last June and stormed the US sales charts giving the group their fourth Top 10 on the Independent Current Album Chart. A Dying Machine landed at #2 on the Top Hard Music Albums, #3 on the Record Label Independent Current Album, #7 Top Internet, #12 Top Current Artists and #57 on the Billboard Top 200. The album also shot up the iTunes chart hitting #3 on the Top Rock Albums and #6 on Top Overall Albums when it was released. The music and concept is inspired by a story that came to Mark while on the last Alter Bridge tour. The story takes place at the turn of the next century where humans and fabricated beings called “vessels” are trying to co-exist. The concept was turned in to a full-length novel to accompany the album release. The novel for A Dying Machine was written by Mark Tremonti and John Shirley and fans that still want to order a copy of the novel can go to http://www.marktremonti.com to purchase. The album is available for stream / download on all digital service providers at http://smarturl.it/ADyingMachine. After two decades at the forefront of all things guitar, a GRAMMY®Award win, 40 million-plus units sold between Alter Bridge, Creed, and his eponymous Tremonti, and countless other accolades, Mark Tremontionce again summited an uncharted creative peak in 2018. 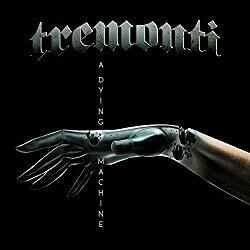 For the very first time, the guitarist and singer crafted an immersive concept and accompanying novel for Tremonti’s fourth full-length album and first for Napalm Records, A Dying Machine. Since emerging in 2012, he and his bandmates—Eric Friedman [guitar, bass] and Garrett Whitlock [drums]—have built the foundation for such an ambitious statement. Their full-length debut All I Was bowed in the Top 5 of the Billboard Top Hard Rock Albums Chart and Top 30 of the Top 200. The 2015 follow-up Cauterizehit the #1 spot on the Top Rock Albums chart on iTunes when it was released. 2015 saw the frontman take home “Best Guitarist” at theLoudwire Music Awards just a year removed from his 2014 “Riff Lord” win at the Metal Hammer Golden Gods. In between sold out headline gigs and festival appearances everywhere from Rock on the Range to Shiprocked!, 2016’s Dust maintained that momentum. 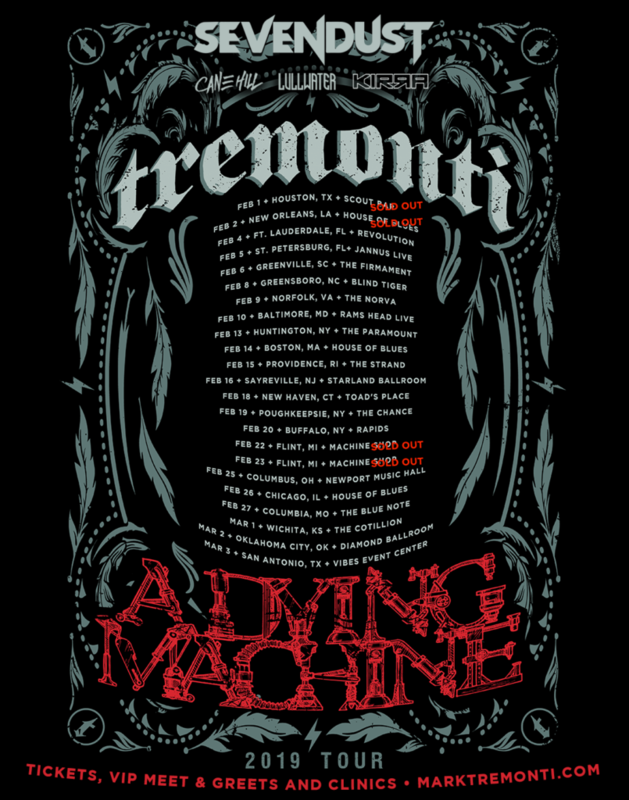 With A Dying Machine, Tremonti reaches new heights like never before.